You get 12 Smooth Rolls of Exam / Diaper Changing Table Paper. Each diaper changing table paper roll is 14" Wide, at the cheapest price. Each diaper changing table paper roll is 225' Long. Emerald Professional Products Brand. Buy 14" Exam Diaper Changing Table Paper Rolls, & all your other Daycare Supplies from RPP Supply! (Compare what others charge for the 14 inch x 125' Rolls, ours are 14 inch x 225' each) 12 Smooth Rolls 14" x 225' Each. 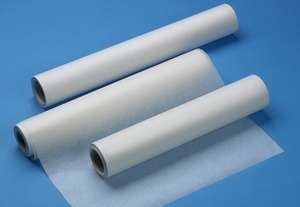 These medical exam table paper rolls are also used on the Dr. Doctor's examination table, and are also used for massage table paper rolls, waxing table paper rolls, pediatric exam table paper rolls, examining table paper, salon table paper, & baby diaper changing paper rolls for the diaper changing table. These are also known as Medical Exam Table Paper Rolls, or Examination Table Paper Rolls, Exam Room Table Paper, & Pediatric Exam Table Paper. Child Care Centers & Daycare Centers across the Country use these same rolls when Diaper Changing, to keep the changing table clean and sanitary. Premium Disposable Diaper Changing Paper Rolls at a Cheap Price! Makes clean up on the diaper changing table easy!